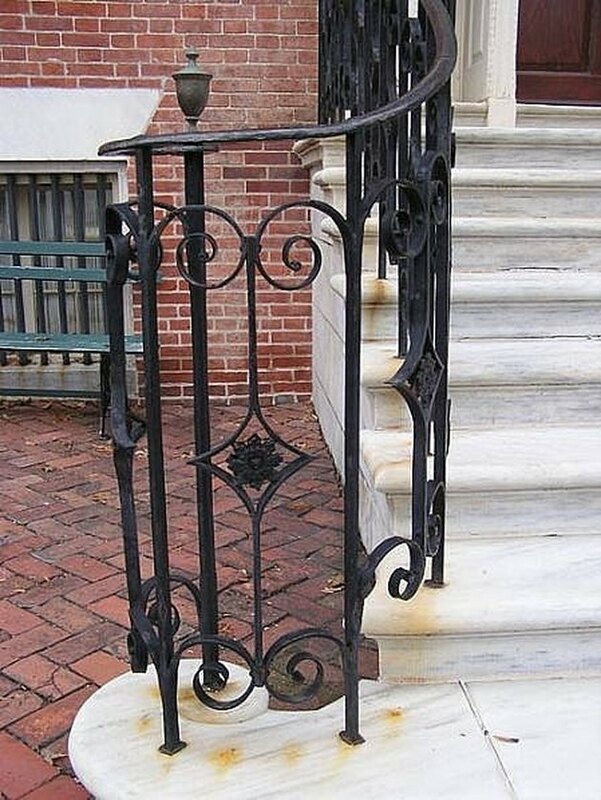 Wrought Iron railings can be beautiful if properly cared for. If yours is pitted and rusty, don't worry, with a little (or a lot!) 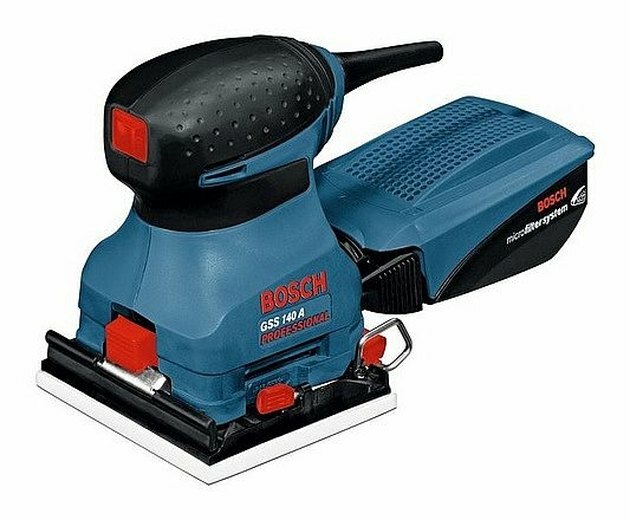 of elbow grease, you can get it looking like new in no time. Wash your railing with water and a rag to remove any surface dirt, mildew, or molds. If you have mildew or mold add bleach to the water prior to cleaning. Allow to dry. This is the hard part! 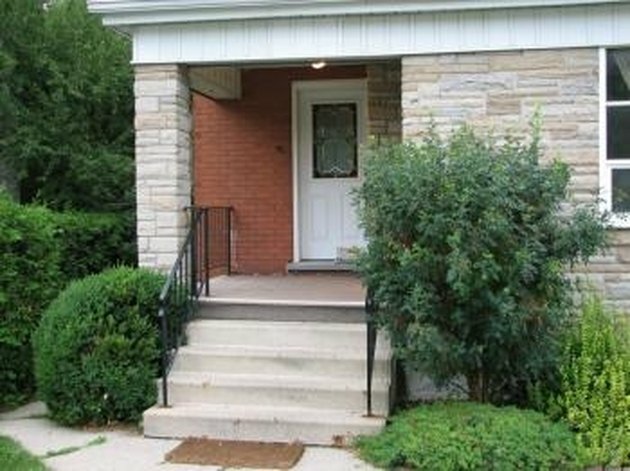 Your goal is to get rid of as much of the bumpy surface and chipped paint on your wrought iron railing as possible. Eliminate all rust. You should see bare metal where the rust once was. NOTE: The Dremel will help you out in tight areas if needed. Remove all loose paint and rust so that bare metal is visible where paint is not. As mentioned, a dremel can help out in small spaces. Lay down a drop cloth before you begin painting. Paint with gloss or semi-glass exterior paint using a small brush or sponge applicator. 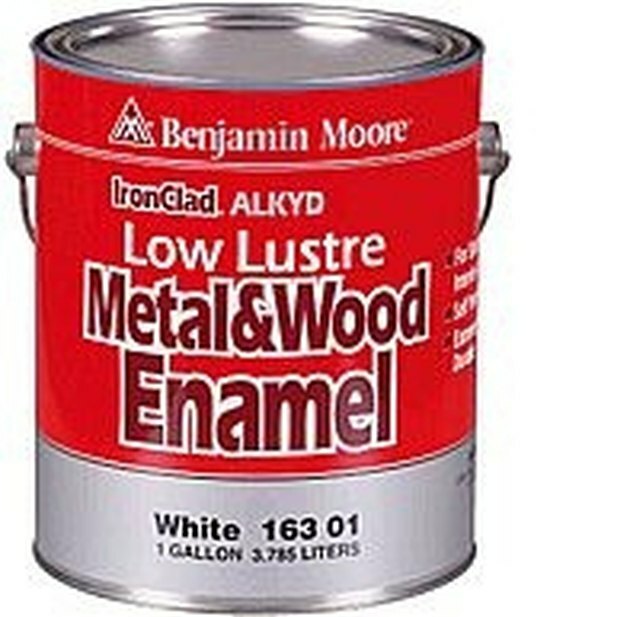 Benjamin Moore IronClad Alkyd Low Lustre Metal Enamel is the product I have found to work the best. 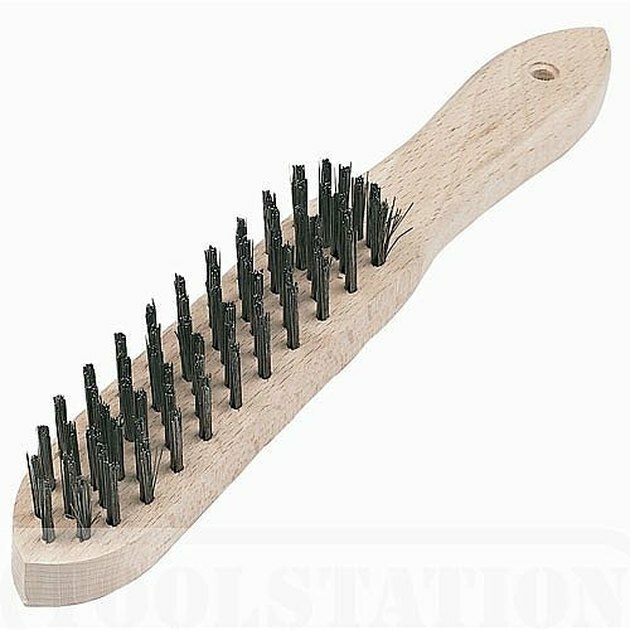 Apply two coats if badly rusted.